With The Essential Rat Pack you will be transported back to 1950's/60's Vegas in the time of quality swinging music, sharp dressing and The Rat Pack with all their style and panache. This tribute act brilliantly combines top quality vocals with slick choreography, stage presence and comedy - what more could you want! This brilliant tribute show features 3 male vocalists as the key Rat Pack swingers - Frank Sinatra, Dean Martin & Sammy Davis Jr. The vocalists are backed by either a 4, 7 or 9-piece band or alternatively just a backing track. They even offer solo performances upon request. With this flexibility and versatility, it's so easy to have this act performing at your event - you can tailor the size of the band to fit both your budget and venue! Their repertoire features the group members' top sing-along hits including "New York, New York", "Mr. Bojangles", "I've Got You Under My Skin" and the massive "My Way" (to name but a few!) and they perform each number with accompanying smooth, slick dance moves. If you're a fan of Frank, Dean, Sammy & the gang, you're guaranteed to enjoy this show and who knows you may even find yourself taking part, singing and dancing along!! 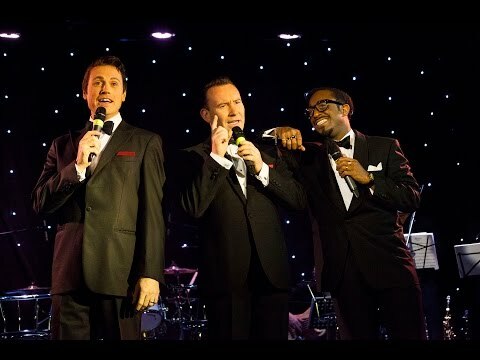 It's a brilliant live show featuring stars of the West End stage production "The Rat Pack, Live From Las Vegas" so you can be sure of each performer's talent & stage presence as well as their love & respect for the legends that were the members of The Rat Pack. This London-based tribute act are a superb choice for corporate entertainment - why not check out their promotional video at the side of the page. If you're interested in finding out more, you can check their availability and get a personalised direct price quote by adding The Essential Rat Pack to your shortlist of favourites or clicking check price and availability. Sorry, The Essential Rat Pack doesn't have any photos right now Send us an enquiry and we'll get back to you, or check out the rest of the act profile. Sorry, we don't have a setlist for The Essential Rat Pack yet Send us an enquiry and we'll get back to you, or check out the rest of the act profile.